A rat infestation is bad for business, costing your company time and money, and damaging the reputation you worked so hard to build. That’s why when it comes to commercial rat removal, it’s necessary to hire a company who can complete the job quickly. Critter Control® of Orlando has over thirty years of experience in safely and humanely removing wildlife from commercial properties. We will take care of your current rat problem, and provide you with an effective plan for protecting your business from future invasions. 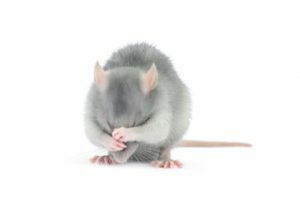 Rats and other rodents can ruin products, damage equipment, and pose serious health risks. And, when it comes to health code violations, a business not only loses money from having to shut down but their reputation is put in jeopardy as well. If you’re experiencing any issues with rodents, call Critter Control® of Orlando for all your commercial rat removal needs. Our technicians will perform the necessary services to promptly get you back in business. To schedule your free consultation, call us today at 407.295.7194.